Shinwa Imperial Zatoichi Sword Black Damascus – 2000 Layers, 40-3/4" Ov. The master sword smiths at Shinwa have done it again with this captivating Shinwa Imperial Zatoichi sword featuring a thick 28" Damascus steel blade that has been meticulously heat forged and hand folded to deliver 2000 powerful layers of cutting steel. The full-tang construction makes this Samurai masterpiece sturdy and built to last, and it truly lives up to its proud Zatoichi heritage. The oversized handle features genuine ray skin construction that is graciously wrapped in heavy decorative cording. 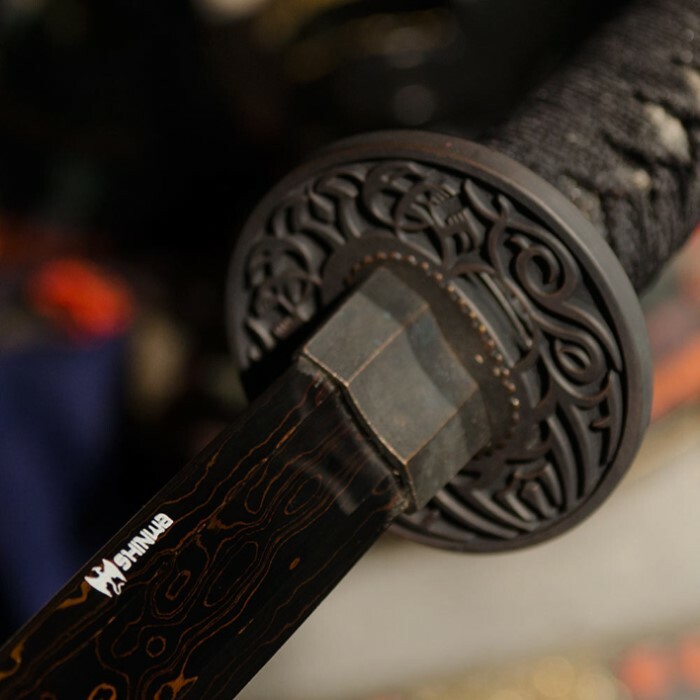 Custom embellishments like the cast zinc alloy habaki, tsuba and pommel add even more authenticity to this imperial sword, ensuring that it will be a prized treasure of true sword collectors. A coordinating hardwood scabbard has been hand lacquered to house this massive blade in authentic style. Measures 40-3/4" overall. I got this sword for christmas and it looks and feels great. This is my second sword and i love it. This was my first sword purchase, I'm very impressed with the product I received. The blade is just like what was pictured, very sturdy, nothing feels loose or wobbly, I'm no expert on swords, but this one looks and feels very well made. I'm very glad that I made the purchase! I got my sword today and was not impressed the color of the blade Was not the same as the picture the guard is loose wiggly loose. The rap on the handle is poor I can see the wood in two spots. The sheath falls off when I pick up the sword not the quality I expected. This is the best sword I have out of 4 I have purchased. It is indeed BATTLE READY. The Damascus steel blade is razor sharp on both sides of the blade. 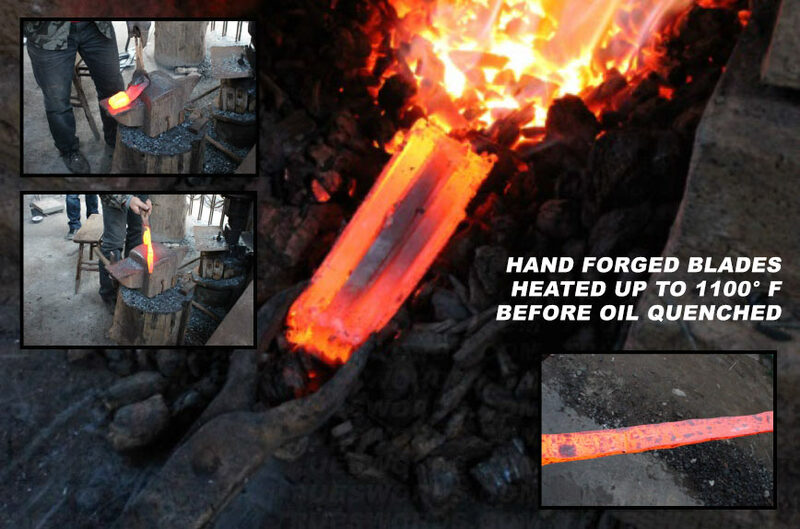 It is well balanced and blade is flexible yet is as sturdy as a single long ingot of steel, even after several long training sessions. It has a deep, long blood groove on both sides of the bald. It is elegantly colored, the scabbard holds the blade well without interfering with a very smooth draw. You can tell that it is indeed hand made as opposed to being pressed out en mass in a factory. 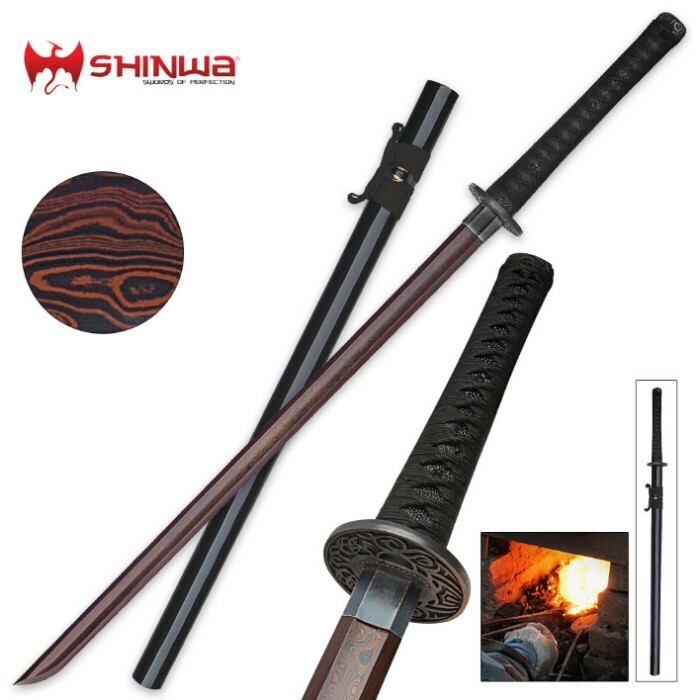 It is a very good sword made better by having a very reasonable price. I strongly recommend this sword to anyone who wants a good, battle ready sword. This is the strongest and sturdiest Zatoichi I've ever had the pleasure to swing, the blade is beautiful the steel thick with a wide blood groove and double edged with a clip point as it should be the hilt is quite nice with cotton wrap on the handle. 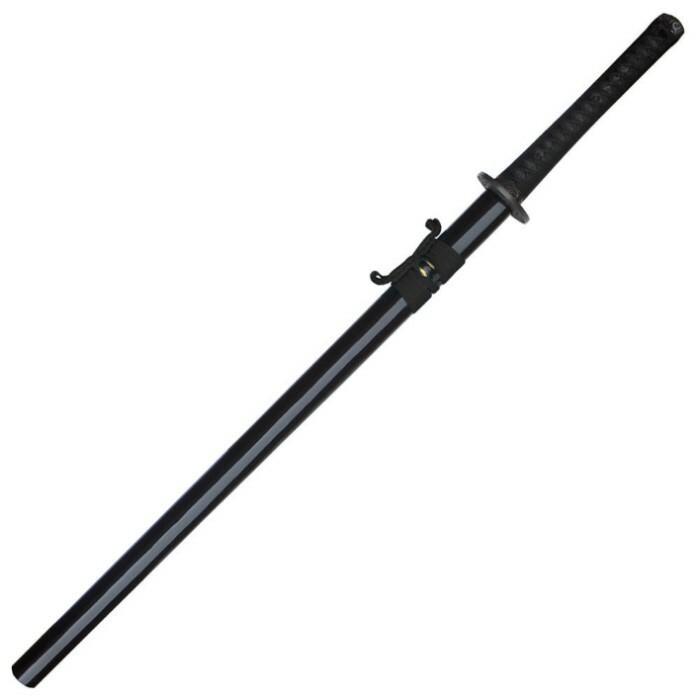 The sword looks straight but it truly has a slight curve a great buy, you won't find a more beautiful fully functional sword anywhere especially a Zatoichi. Every swordsman should have one, it flies practically on it's own. Thank you. Daniel of Nebraska. It is a great looking sword, but it has a few imperfections. When I got it, it looked and felt great, but after a few training sessions the handle started to rattle. I love the sword and what it represents, but I don't think that it was made to be battle ready. Don't get me wrong, it looks great on the wall.